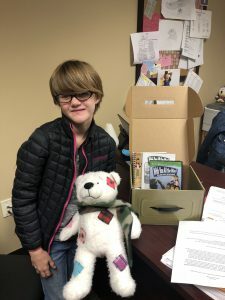 Through the support of donations, The Comfort Crew out of Austin,Texas supplies Deployment Packs for our students who are adjusting to Deployment of a parent and/or guardian. This year’s packs are made possible through donations from USAA BIS MSR Community. 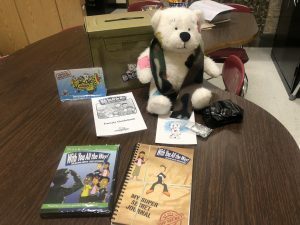 Inside the pack are: Comfort Bear with military related accessories, With You All the Way Super Secret Journal, DVD to help learn how to cope with deployment.